Over the course of the fall of 2017, I worked as a consultant with artists Sara Black and Raewyn Martyn on their immersive installation at the Hyde Park Art Center called Edward Hines National Forest. My primary role was to figure out how to translate conceptual sketches into a structure that could safely carry visitors across the gallery, as well as be built in a short period of time using skilled and unskilled labor. One significant challenge of this project was to design with a high tolerance, as the primary material was recently milled red pine, which was extremely twisted and warped. 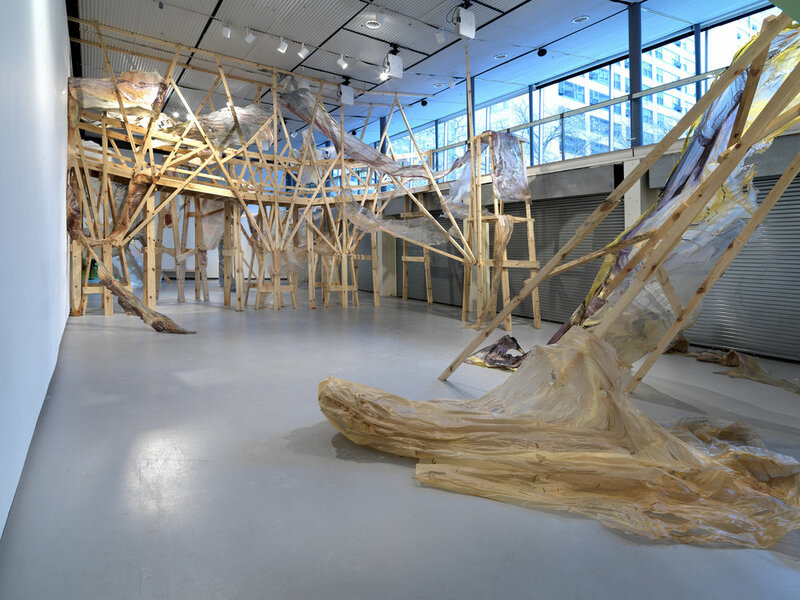 "Chicago-based artist Sara Black and Aotearoa New Zealand artist Raewyn Martyn transform Hyde Park Art Center’s Gallery 1 into an immersive built landscape constructed in response to the far-reaching timber industry that grew out of the south branch of the Chicago River. 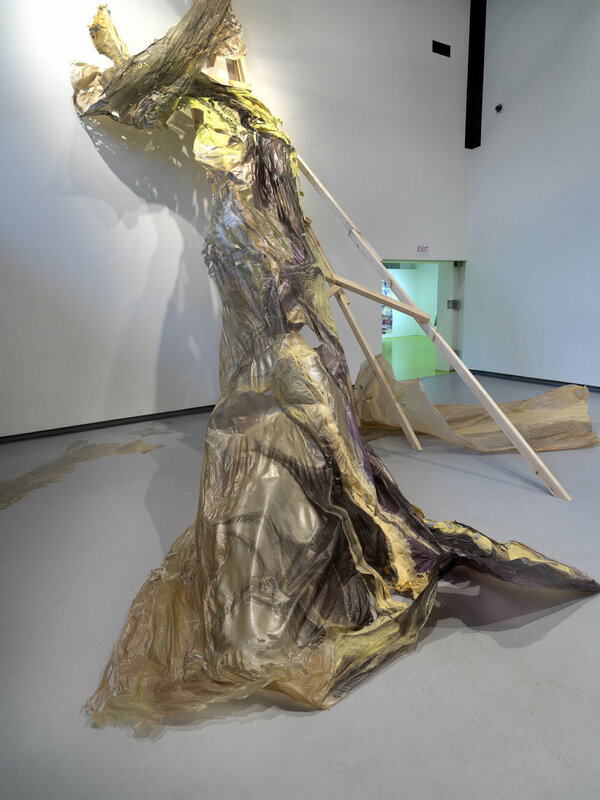 The exhibition, “Edward Hines National Forest,” introduces a site-specific installation that traces the material processing of trees, from plant to lumber and cellulose, to produce hybrid forms that expose the complex relationship between people, human-made objects and the natural ecosystem. 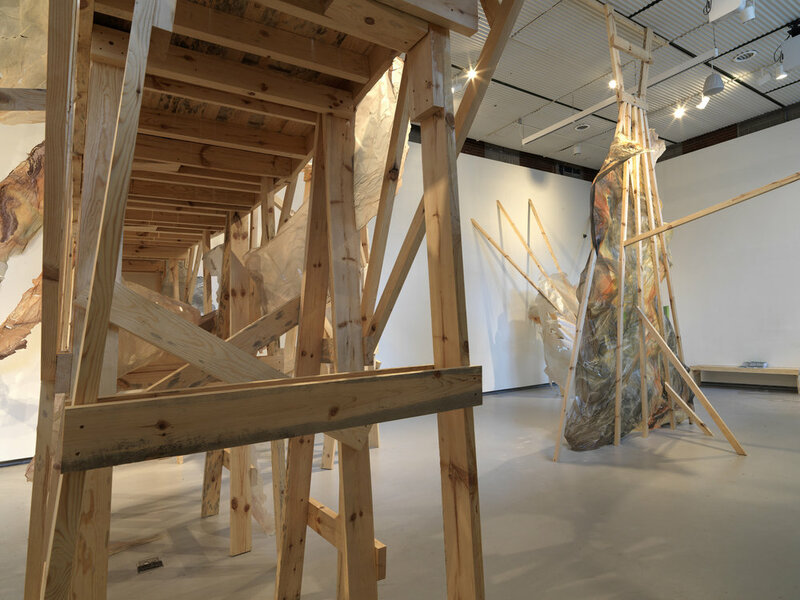 “Edward Hines National Forest” will create a temporary extension of the existing catwalk above the gallery space, enabling visitors to walk on and through the sculpture and painting. The lumber used to build the structure, as well as the cellulose extracted to create the biopolymer paint, are both derived from red pine trees exposed to the fungus Diplodia pinea. These trees from Hayward, Wisconsin are genetic descendants of the old-growth Northwoods, now fully deforested by the Edward Hines Lumber Company during the late 19th and early 20th Century, headquartered in Chicago. The disease is an artifact of such extractionist practices and the global trade of Diplodia-exposed nursery plants. Adapting the values and functions of a National Forest System, “Edward Hines National Forest” recognizes ongoing land use by humans as connected to past, present and future anthropogenic alteration of our ecological and climate systems. As intensive land use continues, government environmental protections are diminished, and the staff of the USDA and Forest Service are censored from using the phrase ‘climate change’. 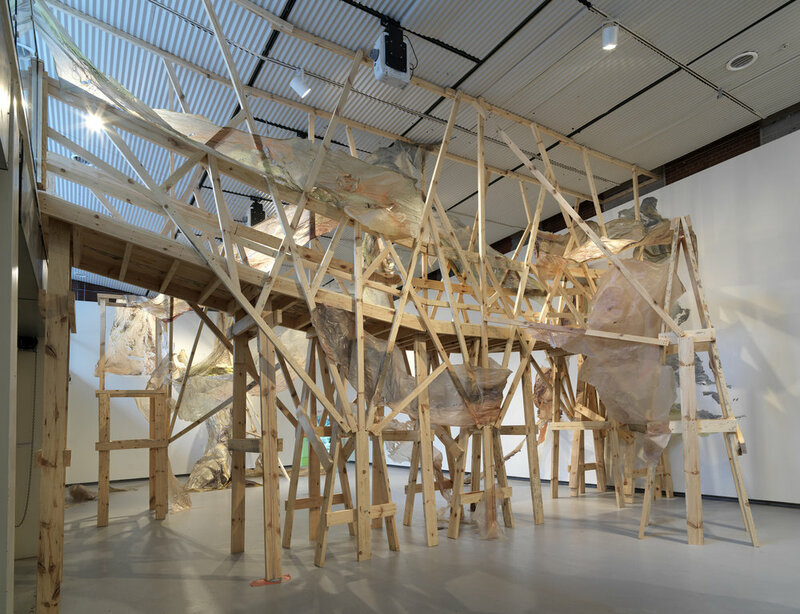 In this exhibition, and the accompanying Use Book, the artists and contributors raise questions about ecological support structures, systems, and even the architecture of democracy itself." Edward Hines National Forest was primarily supported by and featured in the Chicago Architecture Biennial.